I’ve spent a long time arguing against the executive agreement that the Obama Administration inked with Iran in 2015. One of the earliest points of agreement that I had with President Donald Trump was over his consistent, forceful, criticism of that deal as “the worst deal” in history. Recently, however, I’ve become dismayed with the administration’s stunning (though, temporary, if you believe the White House’s recent statements) reversal on its opposition to the deal. President Trump last week took to the press to announce that he was re-certifying that the Iranians were, in fact, following the letter but violating of the “spirit of the deal”—whatever that means. What’s more, this isn’t the first time the Trump Administration has reaffirmed the agreement. In April, the president took a similar action. That was an unwise move, too. It isn’t hard to see that Iran getting nuclear arms is bad for America. No “internal review,” scheduled for completion in October, should be required. It’s just common sense. “You will be taking significant risks if you deal with a regime engaged in continued malign conduct and still covered by a web of expanding non-nuclear sanctions,” Dubowitz said. But a “waive and slap” approach to Iran is silly—especially since Tehran continues to enrich and empower itself through business deals with sundry European states. The Trump Administration’s approach also needlessly complicates the situation in the region, confusing our allies—such as the Sunni Arab states and Israel—and sending mixed signals to our Iranian adversaries. And the fact is, it sets a bad precedent for U.S. foreign policy in a region that is already a rat’s nest of shifting alliances, betrayals, double-dealing, and jihadism. For the last 16 years, the United States has done a fine job of destabilizing the region, pushing away its allies, and empowering its enemies. President Trump emerged as a candidate who neither worshipped at the altar of neoconservative orthodoxy nor embraced the cause of appeasement (as the Bush and Obama Administrations had done). His election offered reason to hope America’s foreign policy in the region could be set right. And the president has made some helpful moves. Trump empowered our Sunni Arab partners who had been pushed away by the disastrous policies of both the Bush and Obama presidencies. The Trump Administration was setting the table for the Sunni Arab-Israeli alliance to contain Iran and decimate the jihadist terror networks throughout the region. However, those diplomatic and military successes will come to naught if Trump cannot push back the Iranians. Since 2003, Iran has spread its operations out across the Shia Crescent, into the Levant. During that time, Iran turned Iraq into a quasi-vassal state; Tehran has shored up its long-time client in Syria, Bashar al-Assad; and now, Iran threatens Israel directly. Plus, the Iranians have cleared the way for the heightened Russian presence in the region, which is not only exacerbating the Syrian civil war, but has also needlessly complicated American foreign policy. The alliance that Trump was building between the Sunni Arabs and the Israelis was aimed primarily at putting Iran back in its box. Yet, the big issue with Iran is not its territorial aggrandizement (though that is a continual problem). No, the true threat is nuclear proliferation. At the moment, even though Iran is on the offensive throughout the region, Tehran is vulnerable. The mullahs are afraid of what may happen should the Trump Administration’s diplomatic efforts bear fruit in the region. The Iranians are convinced that only nuclear arms can deter the United States from threatening them militarily. The Iranians know that nuclear-armed states do not get toppled by America’s armed forces. 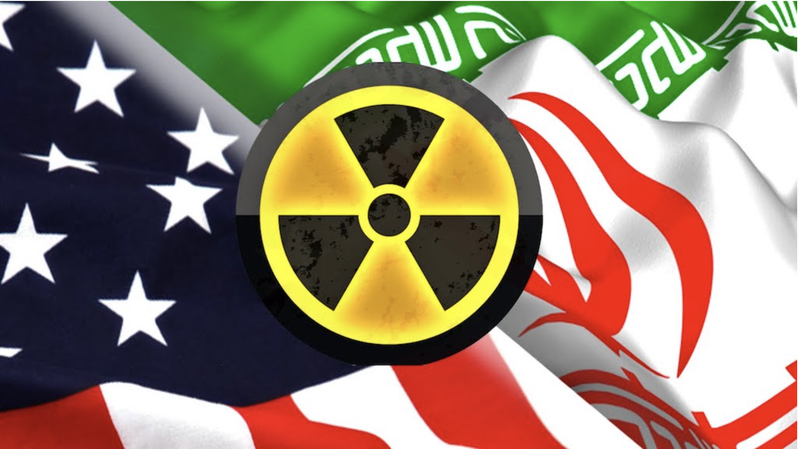 Further, the presence of nuclear weapons in Iran would likely prompt the United States to step back from its insistence on empowering the Sunni Arabs and Israelis against the Iranians. After all, the Americans would fear a cascade of nuclear proliferation to Sunni Arab states where—even though those governments are ostensibly U.S. allies—many of their people are anti-American. With the pall of Islamist revolution hanging over the governments of each Sunni Arab state, the United States would likely seek to ease the pressure in the region by accommodating a nuclear-armed Iran. Time is not on our side. The Trump Administration must recognize that the recertification gives Iran legitimacy in the eyes of the world. Plus, it only prompts other countries (mostly European) to bolster on their business dealings with Iran. Foreign trade revenue funds the Iranian military—especially their nuclear program. Revoking Obama’s executive agreement with Iran wouldn’t mean reimposing all of the old sanctions, but it would signal to the Sunni Arabs and Israelis that America is serious about stopping Tehran from getting the Bomb. It would also generate much-needed momentum at the diplomatic level would put the Iranians back on their heels. Please CLICK HERE to finish reading at American Greatness! Thanks!